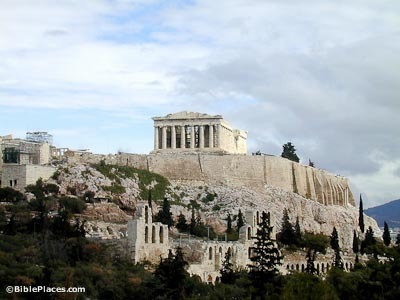 Occupation at the acropolis dates back to prehistoric times. A Mycenaean palace sat here in the Late Bronze Age and it served as a political and religious center in the Archaic period. The acropolis was dedicated to religious functions only in Classical times. Following the Classical period, this area was always a key military position, the first part of the city taken during invasions (e.g., by the Franks, Venetians, Turks, Bavarians). 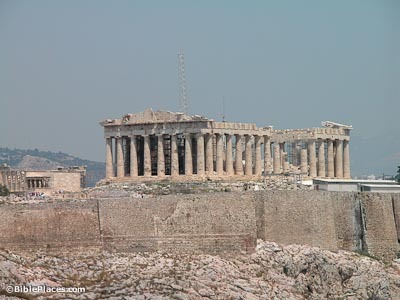 The acropolis is crowned by the Parthenon, completed in 432 BC. 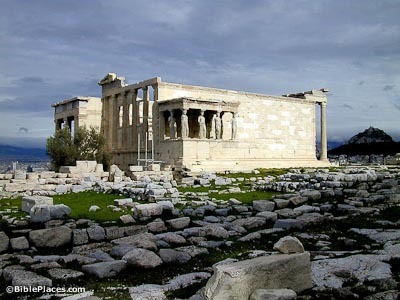 Other structures built on the acropolis in the Classical period include a monument to Agrippa, the propylaia, the temple of Athena Nike, an older temple of Athena, and the Erechtheion. The Parthenon (“House of the Maid”) is the grandest but not most important structure on the acropolis, ritually speaking. The Parthenon was much larger than most other Doric temples and had several sculptures, including Athena’s birth (east pediment), a contest between Athena and Poseidon (west pediment), the Trojan War (north side), and battles between Lapiths and Centaurs (south side) and Amazons and Greeks (west end). The Parthenon held silver, gold, and ivory treasures when it was constructed. Later in the 6th century AD it was used as a church. The Franks turned it into a cathedral in the 13th century. Because it served as storage for Turkish ammunition, the Venetians blew it up in 1687. 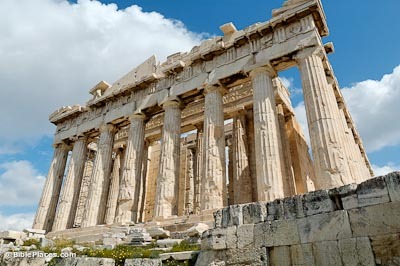 The Parthenon was restored in 1834-44 and again since 1983. The Erechtheion was built to honor the founder of the city and included the sanctuary of Erechtheus and the temple of Athena Polias. Both Erechtheus and Poseidon were worshiped in this temple. The Porch of the Karyatids is the most famous part of the structure, where statues of maidens were used as columns. Their right hands (today missing) once held libation bowls for drink offerings. Download all of our Greece photos! The Acropolis (The Stoa Consortium) Provides a historical summary of the Acropolis, a bibliography, and links to numerous high-quality photos and other related sites. 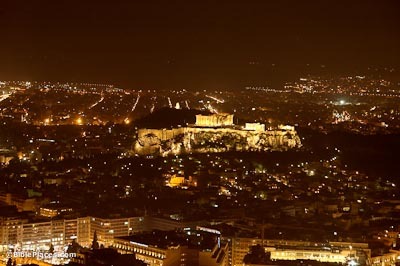 The Acropolis of Athens (Hellenic Ministry of Culture) Briefly recounts the history of the Acropolis and describes its most significant monuments. Parthenon (Columbia University) Several interactive maps with links to multiple 360 degree images taken on the Acropolis. 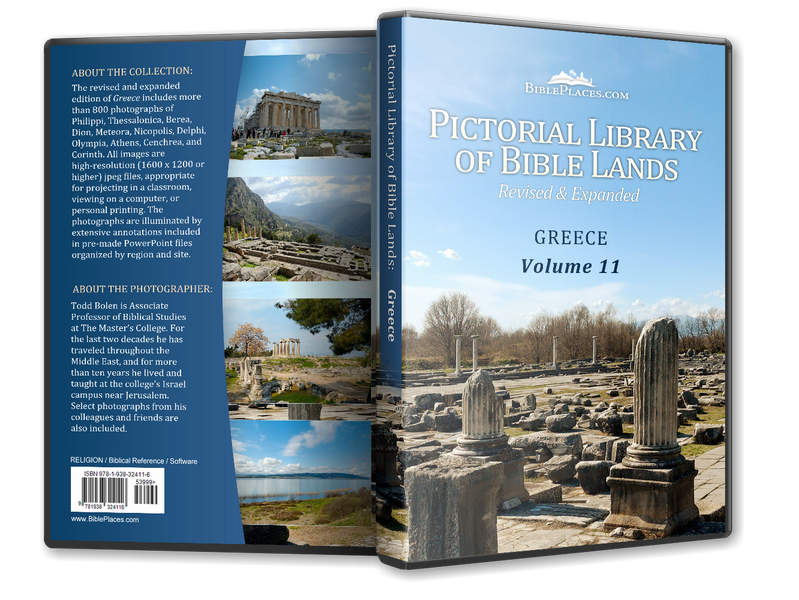 A Historical Account of the Acropolis (Athens Guide) A detailed account of the site’s history with a helpful map. The Acropolis of Athens (The Museum of Reconstructions) Features computer graphic reconstructions of Mnesicles’ Propylaea and the Temple of Athena Nike. The Greeks: Crucible of Civilization (PBS) Contains computer graphic reconstructions of the Parthenon and Acropolis, plus a video clip about the Parthenon. Click on “The Acropolis Experience” button.